Today I’m on the blog tour for Mr Shaha’s Recipes for Wonder by Alom Shaha. It’s a great fun book, full of things to do with bits and bobs around the home. Why does the …? What is …? How does …? Don’t worry if you don’t know the answers, you soon will! Every child can be a scientist with the help of Mr Shaha and his recipes for wonder! Turn a rainy day at home or a walk in the park into a chance to experiment. All you need are a few simple items from your kitchen cupboards — and the power of curiosity! Learn about sound by making wine glasses sing, investigate chemical reactions with vitamin-powered rockets, and explore Newton’s Third Law by making balloon-driven cars. 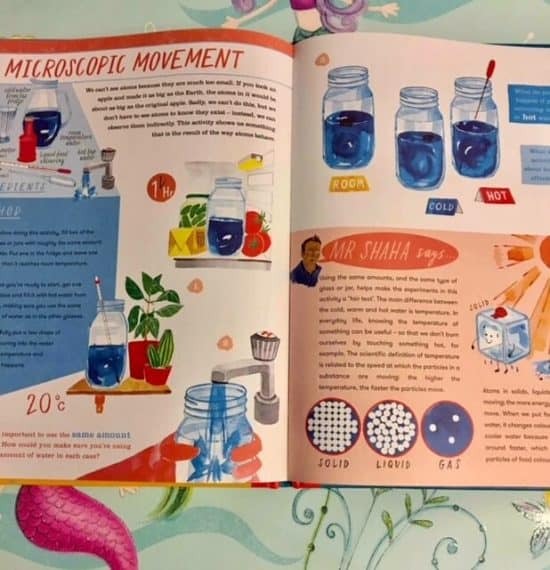 Written by a science teacher and dad, Mr Shaha’s Recipes for Wonder gives clear, step-by-step instructions for over 15 experiments. Whether you’re a science star or just starting out, it will help you inspire young people to learn. Get the whole family joining in around the table, as you transform your kitchen into a laboratory! Mr Shaha’s Recipes for Wonder Is such an exciting book. So many things to do with kids, perfect for a rainy day, or snow days like we had last week! 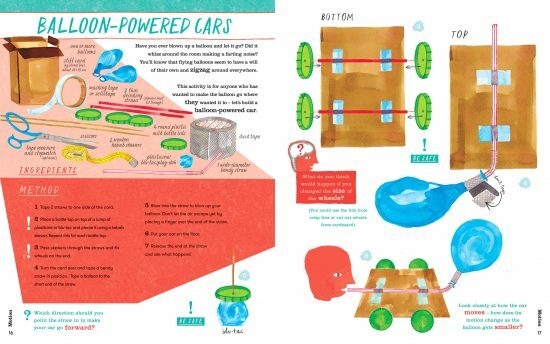 The book is wonderfully illustrated and with many diagrams to help you along. 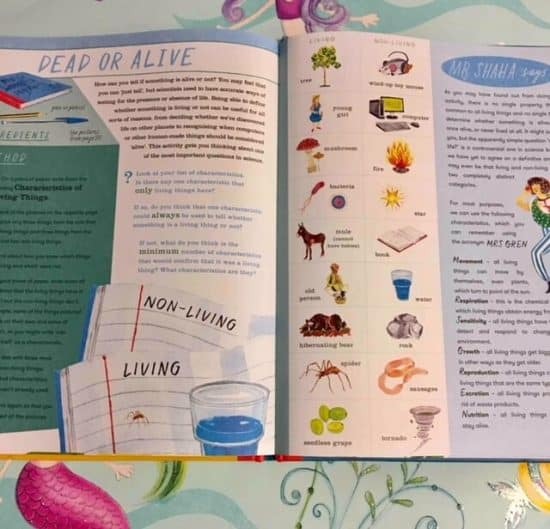 There is quite a lot of text to go alongside the experiments so I would recommend it for ages 8+ children any younger would struggle with the text I would think. As an adult interested in Science I found reading the book, very refreshing and rewarding, it’s too young for baby girl to take part in, but she happily sat next to me looking at the pages as I was reading along. 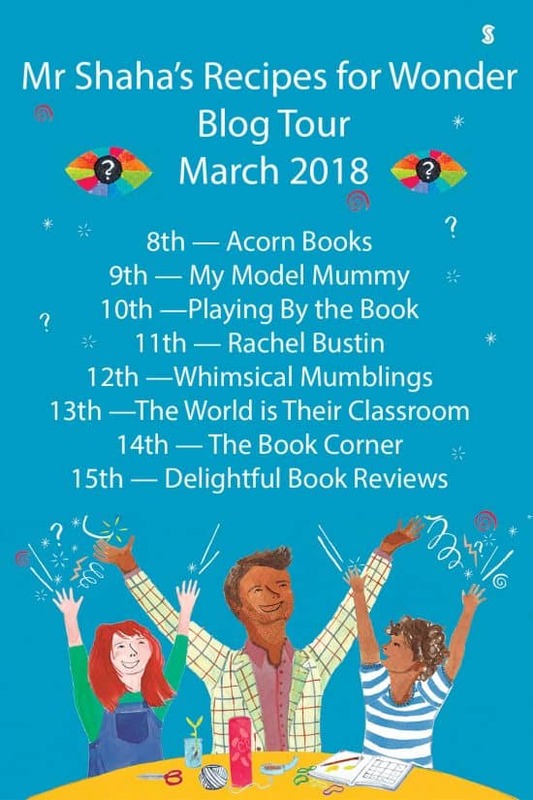 Here is the blog tour schedule for the other bloggers, why not pop over and check out their content? 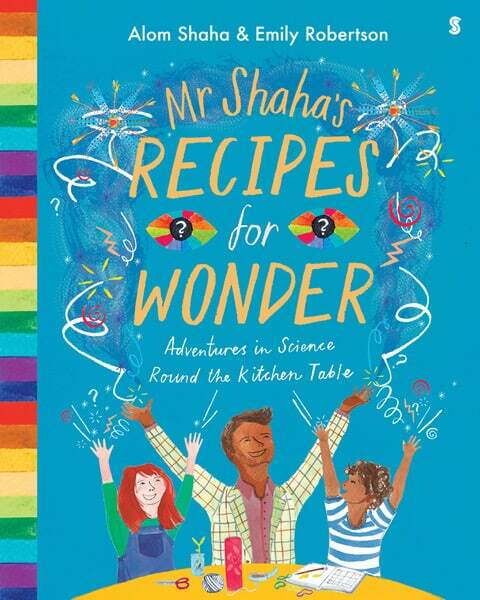 The publishers at Scribe UK have kindly allowed me to giveaway a copy of Mr Shaha’s Recipes for Wonder to one of you. To enter please fill in the gleam widget below. Remember the more entries you complete the better your chances of winning! *Terms and Conditions – There is one copy of Mr Shaha’s Recipes for Wonder to giveaway. 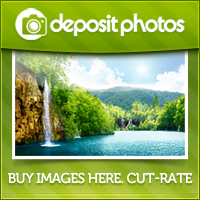 The prize is non-transferable and no cash alternative will be offered. 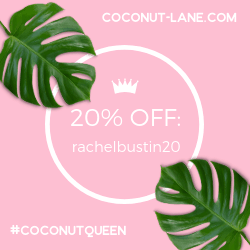 The winner will be selected at random via Gleam from all valid entries and be notified by Twitter and/or email. The winner will have 28 days to respond with a name and address for shipping before a new winner is selected. Open to all UK entrants aged 18 or over only. Facebook and Twitter are in no way associated with this giveaway. Any personal data given as part of the competition entry is used for this purpose only and will not be shared with third parties, with the exception of the winners’ information. This will passed to Scribe UK publishers and used only for fulfillment of the prize. *We were given a copy of Mr Shaha’s Recipes for Wonder in exchange for this review. All thoughts and opinions are my own. I’ve seen a great one with dye, washing up liquid and something else I can’t remember. Makes foam that shoots up! The colour changing cabbage looks interesting. The balloon powered cars look like great fun! Volcanoes with Coca Cola and Bicarbonate of Soda or Coke with Mentos. Anything messy or loud is great fun with kids. I think we would do the volcano! 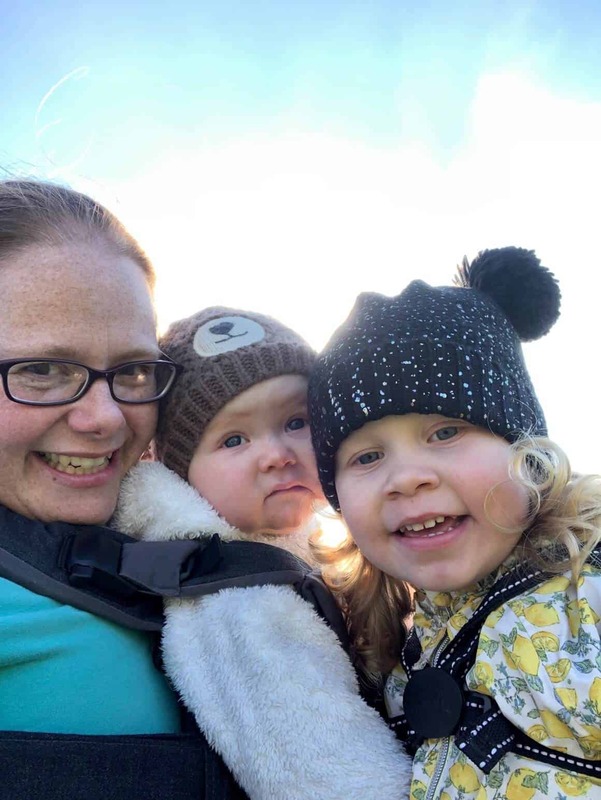 I would like to make some homemade goo with my nieces. Have entered the contest, sounds like a great prize for my children. The balloon-driven cars sound fun! The balloon powered cars look like a lot of fun, I think we’d do those first. The Balloon Powered Cars sounds like a lot of fun! What Science experiments would you like to try at home? I’d like to try the balloon powered cars. The colour changes cabbage 😀 Great video. I know my boys would be interested in making balloon-driven cars!